Logo & identity development are the foundations of your company's image. We are master brand builders! From design, development and hosting, our innovative SEO-friendly websites will build buzz for your business globally and not just locally! What does your print collateral say about you? Put your company's best foot forward with print materials that make a great first impression. Let us show you how effective vehicle advertising can increase your company's visibility and get you new customers! Your logo is one of your most important assets. We will create a quality design that represents your company, defines your purpose, and resonates with your target audience. A strong web presence is one of the keys to success. Providing website design, social media marketing, email and blogs, we'll showcase your brand with our SEO-websites. Whether you need brochures, trade show booths, print ads or billboards, our creative team will help you get your message on paper and on target to your customers. Not sure how to effectively market your business? We can help with our comprehensive suite of strategic marketing services designed to increase your profits. Make an impact with one of the most cost-effective advertising tools available and let us create an eye-catching moving billboard for your business. Integrated branding & logo design, web design, advertising and printing solutions. A creative advertising agency, logo design, printing and web design studio in North Carolina. 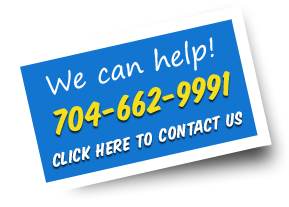 LKN Media, located near Charlotte in Mooresville, NC., provides comprehensive logo, website, design, advertising and print solutions for any size business. We serve businesses from $100 to Fortune 100 with stand-above-the-competition creative ideas, on-time execution combined with customer-focused support. Take a look at some of our design work by browsing through our online portfolio or reading some of our success stories. Get your next project started today!.